Let the professionals take care of your dietary plan. Both Home Bistro and Magic Kitchen offer magnificent dishes, you just have to choose which one is right for you. 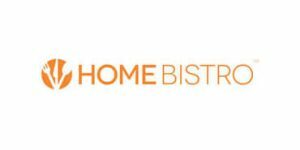 Check out our detailed Home Bistro vs. Magic Kitchen comparison and opt for the meal delivery service that meets all your requirements. Magic Kitchen can satisfy all your dietary needs throughout the week and accommodate any allergies, special preferences or nutritional requirements you may have. Magic Kitchen features two menus, including A La Carte and Complete Meals. Magic Kitchen's A La Carte menu features 40+ meal options whereas its Complete Meals Menu has 100+ items on offer. Magic Kitchen offers omnivore, vegetarian, senior-friendly, portion-controlled, diabetic-friendly, low-sodium, low-carb, low-fat, renal-friendly, dialysis-friendly, dairy-free, and gluten-free complete meals. Its selection of individual dishes includes soups and breads, entrées, side dishes, and desserts. The service also offers meal bundles for easier ordering, such as 1-person, family-size, senior, homestyle, and dessert bundles. Magic Kitchen promises to always use restaurant-quality products, source organic fruit and vegetables whenever possible, and exclusively feature pesticide-free, antibiotic-free, and hormone-free ingredients. Magic Kitchen complete meals, including an entrée and 1-2 sides, usually have 350-550 calories. The meals are nutritionally balanced, often low in carbs, and generally suitable for individuals with an average appetite or those who could benefit from portion control. Magic Kitchen boasts great flexibility. You can make changes to your order by contacting the company via phone or email. Magic Kitchen has a satisfaction guarantee, so if you are unsatisfied with your order, you may receive a credit or replacement. Explored this option for my mother who needs low sodium meals. While prices are not cheap, they are also not unreasonable when one considers also the time needed to shop, prep + cook the same kind of meal at home. Everything super fresh and arrived in good condition. Just heat n eat. Highly recommend. I only order from time to time, it’s delicious and there are so many options but I can’t afford to order very often. I like that I can build my own meals and I save quite a lot with the discounts, so if you pick your meals carefully, you get a great meal at the price of a sandwich. Very, very good. The food doesn’t taste like when it’s freshly prepared, but you can’t expect that much from frozen meals. And it’s still tasty.